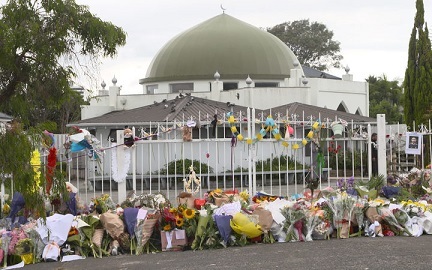 A visiting Spiritual Leader paid homage to the victims of the terrorist attack in Christchurch at the opening of his new Ashram in Auckland last week. Vishwaguru Swami Maheshwarananda led a prayer for the Muslim community and sought world peace and harmony as he inaugurated the ‘Sri Swami Maheshwarananda Ashram’ located at 117, Arthur Street, Onehunga. The inaugural ceremony was held on Saturday, March 16, 2019, a day after a terrorist went on a shooting spree killing 50 people, including women and children at two Mosques in Christchurch during their prayer time. Swami Maheshwarananda also planted a ‘World Peace Tree’ at the Taumanu Reserve. 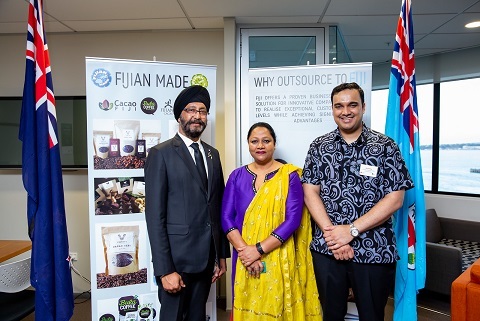 National MP Kanwaljit Singh Bakshi, Auckland City Councillor Paul Young and Maungakiekie-Tamaki Local Board Member Don Allan were among the special guests at the inaugural ceremony. Among the other guests were Ngati Te Ata Waiohua/Ngati Tiipa Amiria Puia-Taylor, ‘People Weaver’ and Onehunga Business Association Board Member Bobby MacDonald and Artist Bridget Graham, Yoga in Daily Life Society New Zealand President and Vice-President Swami Madhuram Puri and Naginbhai Patel.